The Coordinator of Government Activities in the Territories stresses that a Gaza seaport isn't on the agenda in talks with Turkey. 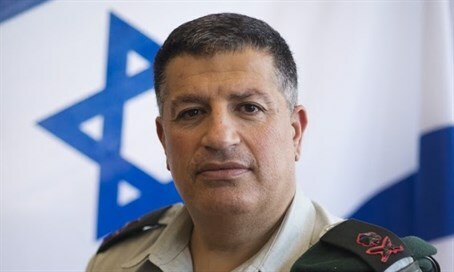 Major General Yoav Mordechai, the Coordinator of Government Activities in the Territories (COGAT), stressed on Saturday that Israel is not conducting any negotiations on the establishment of a seaport in Gaza. "There are no negotiations or dialogue with anyone regarding the construction of a seaport in Gaza," Mordechai told the Saudi Elaf news website. He stressed that "a decision on the establishment of a seaport in the Gaza Strip in the future will be the result of political agreements with the Palestinian Authority." Mordechai's remarks come in the wake of reports, according to which construction of a seaport in Gaza is part of the reconciliation agreement being formulated between Israel and Turkey. Ankara is already planning a $5 billion project to rebuild Gaza, with a central part of the plan to be a seaport. Israel has firmly refused the demand due to the threat of Hamas using the seaport to smuggle in weapons, as the group has constantly been attempting to do even without the port. “What does the world fear? That we'll smuggle weapons? We have no intention to smuggle weapons and the world is invited operate any monitoring mechanism it wishes on this port,” claimed al-Haya. Earlier on Saturday, MK Avi Dichter (Likud) said that caving in to Hamas's demands for a seaport would not stop the threat from its terrorist tunnels, which it has been actively rebuilding. "The urgency of giving a port to Hamas in Gaza is like the support for digging tunnels to transfer goods into Gaza. It may be that tunnels are even better because the goods in the tunnels can be checked at a better level than those in a port. Maybe it would be better for us to build them tunnels instead of a port," he said.